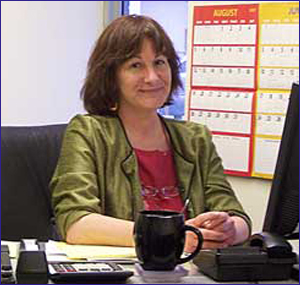 With 25 years experience in information management, document generation and printing for the service bureau industry, Marcella Sheridan has developed a forte in analysis of the fulfillment process with an eye for recognizing the potential streamlining made available by newer technologies. She began her MIS career in 1983 at Applied Data Processing. There, her critical contributions as project leader and System Analyst, Major Market Accounts earned her several awards. In June 1992, she joined ARGA, Inc., where she was given full responsibility for developing the applications of ARGA's largest customer and investor, GPP Holdings. In 2000, Marcella assumed the role of Vice President of Transmonde USA Inc., the operations and fulfillment company of GPP Holdings, and, in 2004, became its President. The tools and systems implemented by her have allowed Transmonde to successfully manage over 12 million print impressions and an average of 100,000 customer product shipments each month. Her implementation of a new inventory component structure and her reconfiguration and re-staffing of the warehouse have allowed Transmonde to successfully manage the shift from a mostly paper inventory to it's current varied composition. 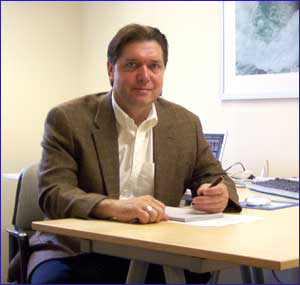 Mark Tracey brings to GPP Holdings (GPP) over 25 year of experience in publishing and direct mail marketing. His career began in 1982 with Omniprose Ltd, a direct marketer of hardcover books and collectibles. Mark assisted Omniprose in a variety of positions, including marketing statistician, media buyer, and director of marketing. In 1988, Mark became President of Atlas Editions and helped grow it into one of Canada's largest direct marketing and publishing companies. Mark began working with GPP in 1996. As General Manager, Mark was responsible for expanding the directmarketing business in the U.S. market and Canada, while at the same time developing markets and operations in the United Kingdom and France. Mark also played a key role in establishing Transmonde USA, GPP's dedicated fulfillment service bureau. Bachelor’s Degree in Economics, minor in Business Law. Mr. Foley started his career in the construction and real estate services field in the 1980’s, at Munigle Corporation, a builder of upscale properties in Hartford, CT. He began as a Junior Accountant, and was later promoted to Controller. Mr. Foley moved to ARGA, Inc. in April 1990. There he was instrumental in developing and implementing accounting procedures for the Direct Mail company. 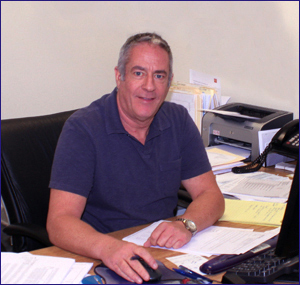 Mr. Foley joined Transmonde in 2000, assisting in the implementation of a new accounting system, to better track expenses, billing, inventory control, and cash flow. Currently, his duties include daily cash movement within GPP companies, Human Resources, approval and processing of expenditures, and account maintenance. He is also responsible for coordinating the financial reporting of Transmonde, to the CFO of GPP Holdings. Meryl Reyal joined Transmonde 7 years ago. She has been responsible for choosing products, finding suppliers and negotiating prices. Additionally, she is responsible for all the purchases of products and their packaging. Meryl prices Ecommerce offers and sets up the automated fulfillment in the database. She then monitors the fulfillment process and follows up on quality control and the flow of stock. Travelling twice a year in Asia to meet suppliers and source new concepts, she has built a library of vendors and has a strong relationship with them, allowing Transmonde to import a wide range of products. She manages the import budget and payments to these specialized vendors. 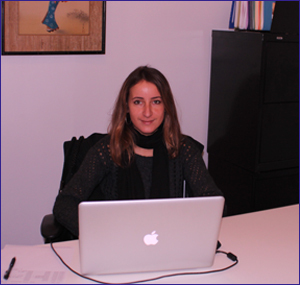 Meryl Reyal also works closely with the Marketing team to analyze and implement the Ecommerce marketing plan. She participates in the management review of sales forecasts and sales plans based on analysis of the performance of the product.